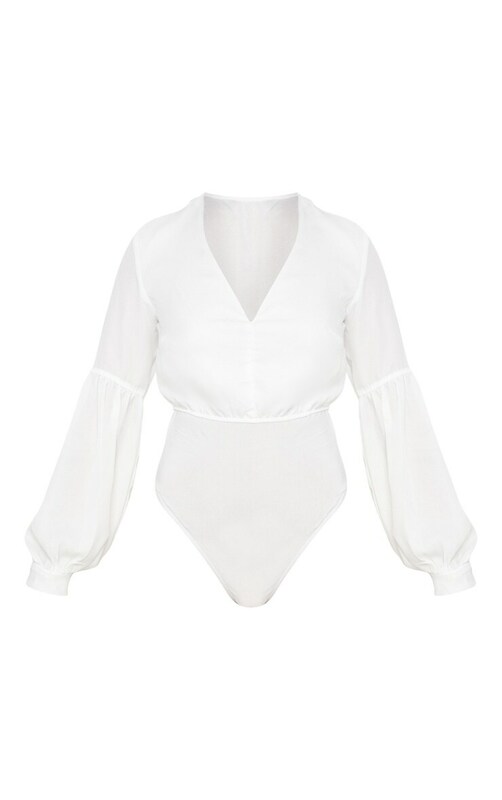 Add this bodysuit to your new season wardrobe immediately. Featuring a v neckline, soft floaty chiffon fabric and longsleeves, you can't go wrong! Wear with a slinky midi skirt and killer heels to finish off the look.